Three Abductions and an Earl is a full length novel and the first book in Tessa Candle's Parvenues & Paramours series. London-hating dreamer, Lydia Norwood, has failed spectacularly as a débutante. Now an encoretante whose family has lost a fortune, Lydia discovers that the beau monde is hard on a nouveau riche social climber, particularly one who is no longer riche and only wants to climb trees. Lydia must stave off the effrontery of rakes and conniving competitors long enough to make a good match, or else incur society's scorn by being so scandalous as to earn her own money. 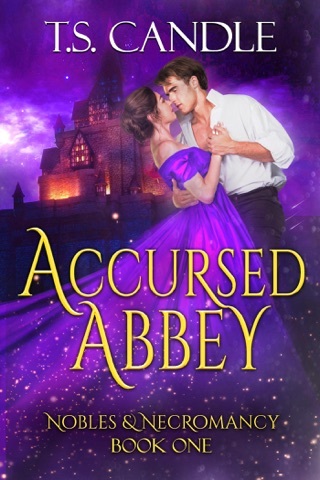 Falling for the unattainable Lord Aldley is a distraction she cannot afford. But they share such an enchanted history, how can her heart resist? The tragically virtuous Earl of Aldley is tired of ambitious families hurling debutantes at his head, but cannot hide in France forever. He returns to London to seek out the mysterious tree-climbing girl who once saved him from a scheming chit, and finds more than he bargained for. Abductions, seductions, trickery and injury all endanger Lydia, but Lord Aldley's heart is imperiled beyond rescue. He has only just found her; will he lose her forever to his enemy, his best friend, or his own dangerous mistake? This one’s on me I need to find another genre 17 year old whiney virgins seeking husband while climbing trees isn’t even a beach read anymore. I made it half way through then started skipping the male part then gave up and read last two chapters. I don’t enjoy dual head-hopping books. Very wordy Charles Dickens plot movement but does have happy ending. The characters are probably true to the time with very limited scope but did not make me like them. The story was very good. I enjoyed the talks between the two main guys and the two main girls. Near the end when they became intimate the talk seem forced, uncomfortable, awkward and pushed. A gem. Truly witty writing with romance and twists and turns.